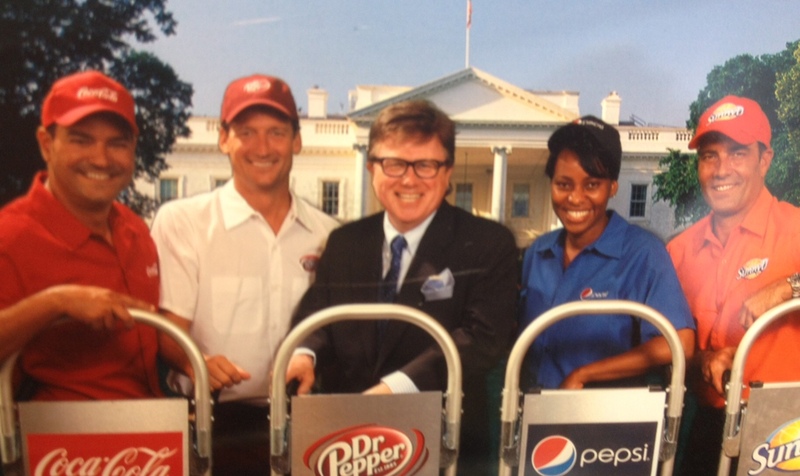 President of the South Carolina Beverage Association, Jay Hicks (center), poses for a photo during the 2013 Washington D.C. Fly-In. The South Carolina Beverage Association (SCBA) is the trade association for South Carolina’s refreshing, non-alcoholic beverage industry, serving the public and its members since the early 1900s. SCBA’s mission is to promote the development, preservation, operation and general welfare of the beverage industry in South Carolina. SCBA represents bottlers, franchise companies and support industries of the non-alcoholic beverage industry on the federal, state and local levels of government. SCBA provides a neutral forum in which members convene to discuss issues of interest, while maintaining their tradition of spirited competition in the marketplace. The Association also serves as a liaison between the industry, public and provides a unified voice in legislative and regulatory matters.